Triple moon chakra pendant has two crescent moons at the corners and a star in the center. It is a Celtic protection symbol. It protects the wearer from any negative energy or accidents. It is believed that this symbol works through lunar energy. 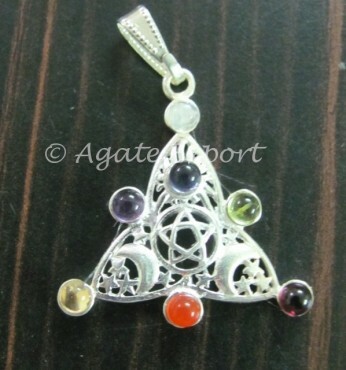 Get this powerful triple moon chakra pendant from Agate Export.